In our last blog post covering some of the most important use cases for an e-commerce system, we shared details about some use cases that are fundamental to any ecommerce solution. This article continues that conversation, focusing on Apache OFBiz Order Manager Use Cases and JMeter Tests implementation. 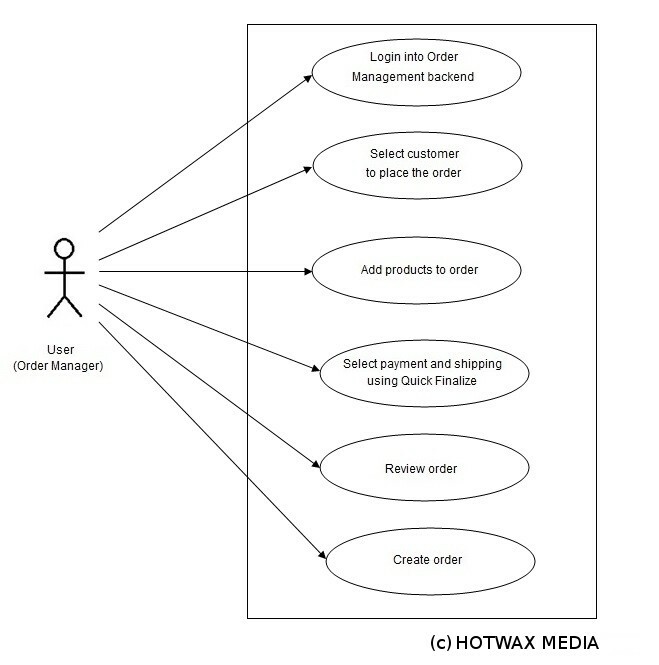 The scope of Order Management includes key ecommerce events such as Order Entry, Order Information Management, Quick Shipping, Return Management and more. The following table shows some of the use cases that have been identified for Order Management scenario with Apache OFBiz. Alternative path The alternate path in an ecommerce solution can be a Anonymous user or a Registered user can create a profile over the front store and can place the order for themselves. Please refer our previous blog post on this use case. Please follow the steps mentioned here for building the script for the use case – Order by Order manager. Step 1: Add HTTP request defaults, CSV Data Config and HTTP Cookie Manager Configuration elements inside Order by CSR or Order Manager thread. Step 2: Here in CSV Data Config, we should give filename of the CSV file containing all productIds of products which we wish to add in cart. Step 4: Add HTTP request sampler with path /ordermgr/control/orderentry to go to order entry page. Add a pause after this request. 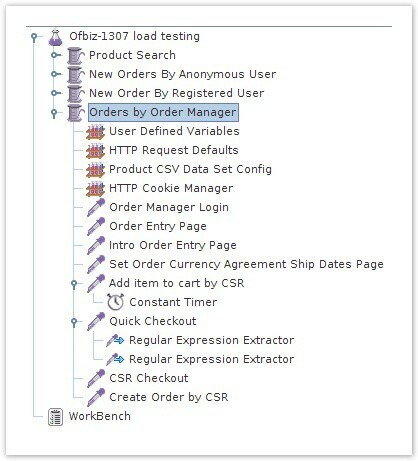 Step 8: Add HTTP request sampler with path /ordermgr/control/quickcheckout to go to quick checkout page. Add two regular expression extractors into this request to extract shipToCustomerPartyId and shipping_contact_mech_id from the rendered screen. Please have a look at the Implemented scripts for the use case. You simply need to download this script, review it, and execute it. Apache OFBiz provides an out-of-the-box interface for creating, modifying, suspending and canceling orders. It supports end-to-end creation and management of products, services, and resources, including work orders. OFBiz Order Management uses a standards-driven approach to deliver the core functionality required from a modern Order Management System. The complete order management process intersects and interacts with other important back office functionality, including warehouse management. In our next blog we will share another use case and accompanying JMeter test plan focusing on OFBiz Warehouse Management. Does your erp/ecommerce solution have an adequate use case-driven test plan? Does the performance of your solution meet or exceed industry standards? If the answer is “No” or you are unsure, contact us today.